Gluten Free! Zero Added Sugar! 26 grams of Protein per Serving! Only 134 Calories per Serving! Multi-Stage Blend of Only Whole Dairy Proteins! Amazing Taste! Mixes Instantly! Giant Sports International’s world-famous famous Delicious Protein Elite is now available in a smaller, one pound can , 2lb and 5lb with a smaller serving size for those who are counting every calorie but still desire the same superior blend of only whole proteins from whey, milk and casein sources a with the award winning taste and instant & complete mixability of Delicious Protein Elite. Each can contains 60 servings, delivers 26 grams of protein with only 134 calories per serving. With just 4 grams of carbohydrates and only 2 grams of fat, this product is well suited for those who are dieting and who are utilizing calorie restricted diets. 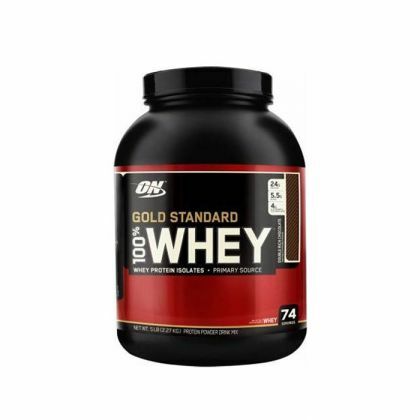 Delicious Protein combines an outstanding healthy & useful macronutrient profile with the most incredibly rich, delicious and satisfying taste in the history of protein powders.